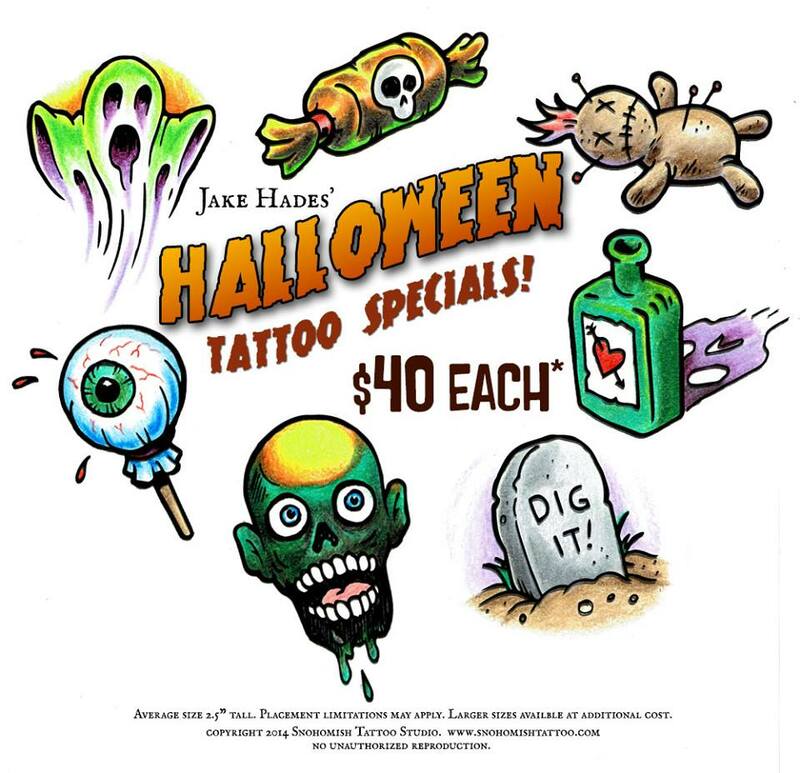 Home Shop NewsHalloween Tattoo Specials! It’s our favorite time of the year! 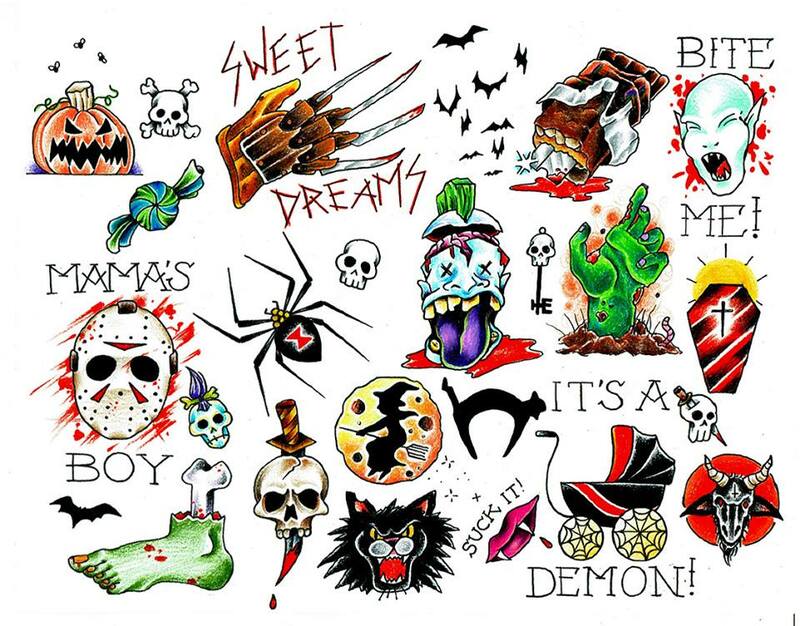 From October 28th through 31st, we’re offering specials on select ghoulishly fun tattoos. First come, first served. Not combined with any other offers. Keep in mind we always offer 10% off normal rate for horror themed pieces. Any time of the year is a good time for something spooky! Previous Previous post: Piercing Services Are Back! Next Next post: Holiday tattoo gift certificate specials! !